Unfortunately, the dress you are looking for (Style: AS-i745845b08, Name: AS-i745845b08) is no longer available. 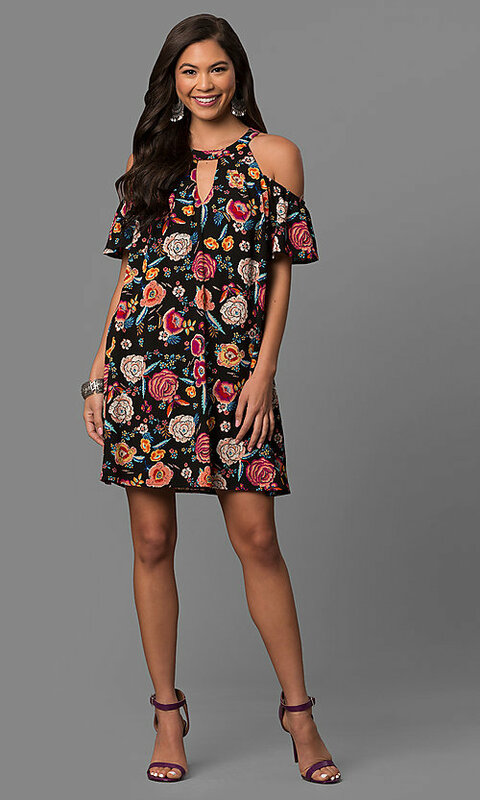 You'll look lovely wearing this short black shift dress on the deck of a cruise ship or summer party. 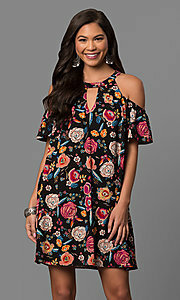 The adorable casual dress will float gently in the breeze with an eye-catching vibrant fuchsia floral print. 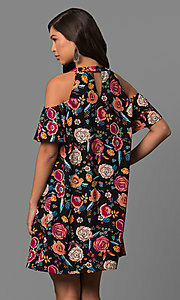 Cold-shoulder flutter sleeves offer a trendy look to this fun party dress. Front and back keyhole cut outs add a flirty look to this high-neck short print dress. Under $100 for casual family celebrations or cruising, this short black floral-print shift dress offers a contemporary style at an affordable price.